The other day I broke out a holiday classic for lunch. 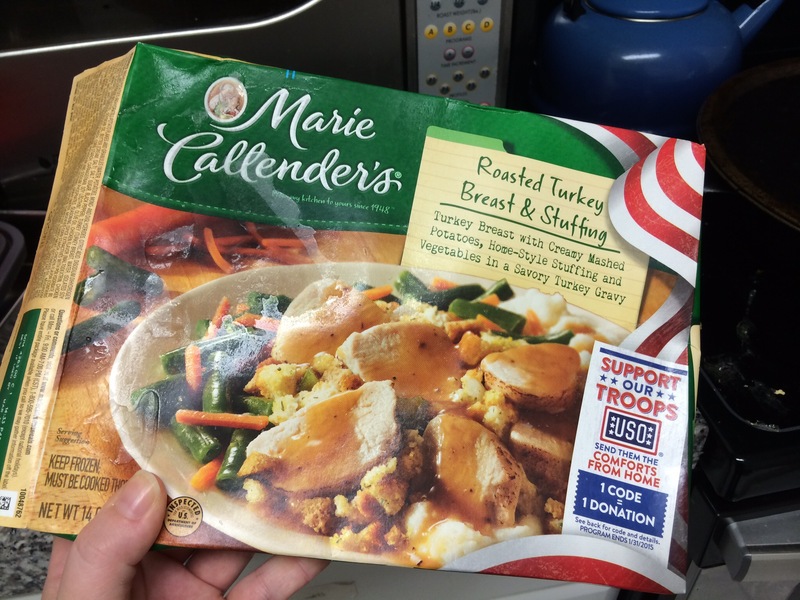 Yes, that would be a Marie Calendar’s frozen turkey dinner. It really wasn’t that bad. 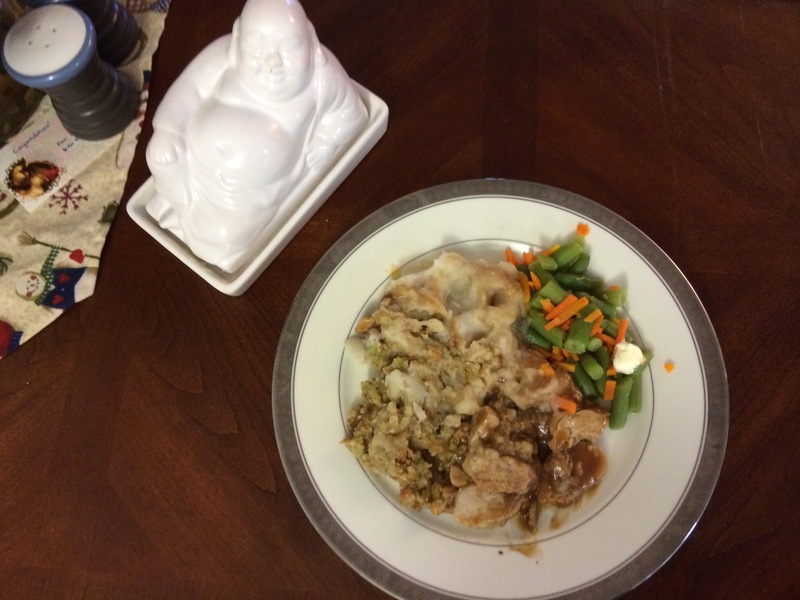 Buddah butter approved! Yesterday I finally made it out of the house on a walk. We’ve had quite the storm over here, but when it had regressed to a light rain I saddled up the kid, grabbed my rain boots, and enjoyed some city-style puddle stomping. 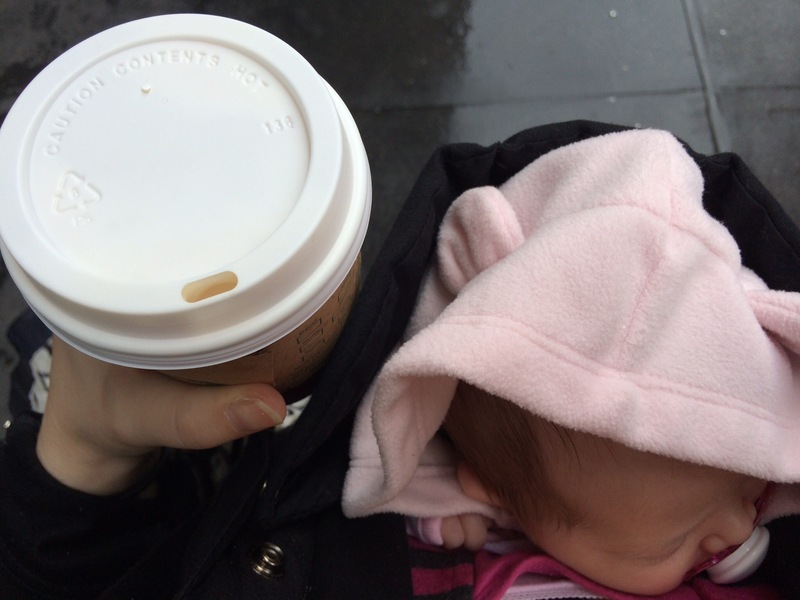 Babywearing + Starbucks. Like a boss. 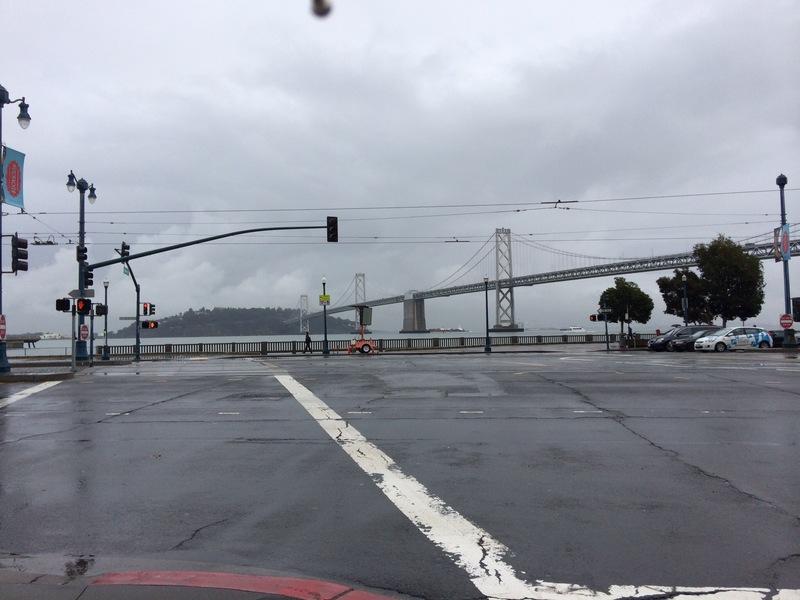 It was still pretty gray and dreary out. 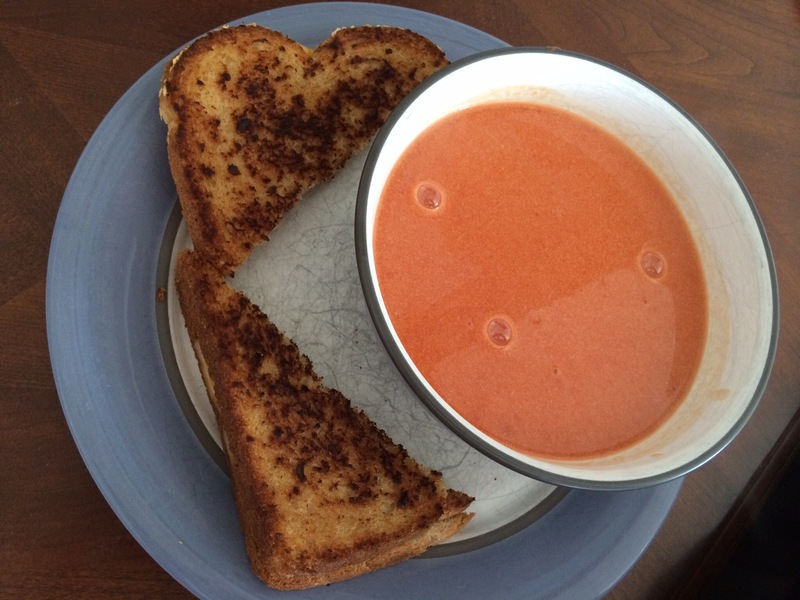 When I got home, it totally felt like grilled cheese and tomato soup was the way to go for lunch. Perfect rainy day food. Plus a snack. 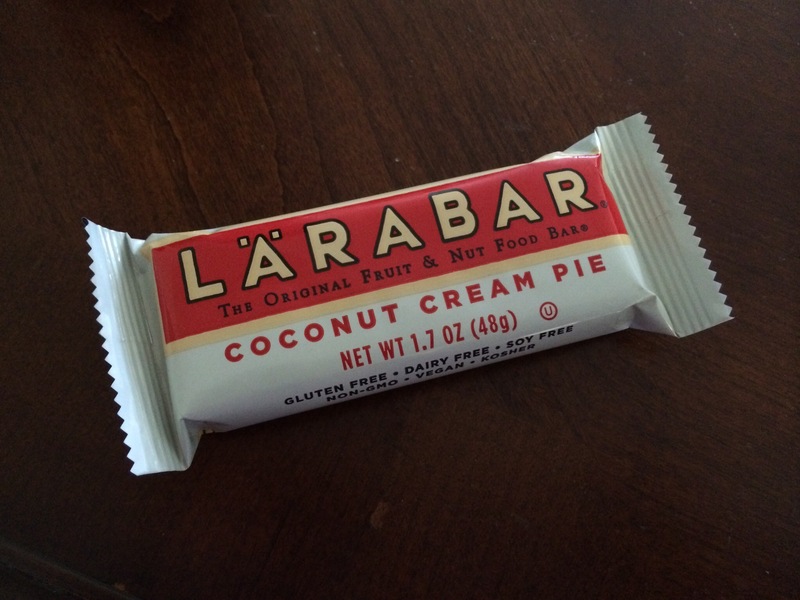 I haven’t had a Larabar in so long, and coconut cream pie is one of my favorites. What’s your favorite way to spend a rainy day?